Maui offers rides and routes for every level, from beginner to advanced. Looking for the perfect ride on Maui for you? Check out these favorite Maui bicycle routes shared with us by bicyclists in the community. 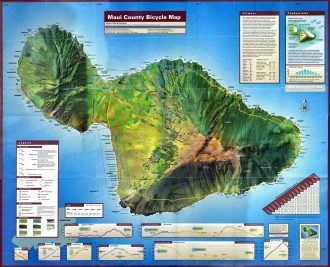 Download the Maui County Bicycle Map, created by County of Maui, Maui Visitors Bureau and Tri-Isle Resource Conservation and Development Council. Maui Bicycling League is seeking funds to update and print the Maui County Bicycle Map. Please donate to support this project.